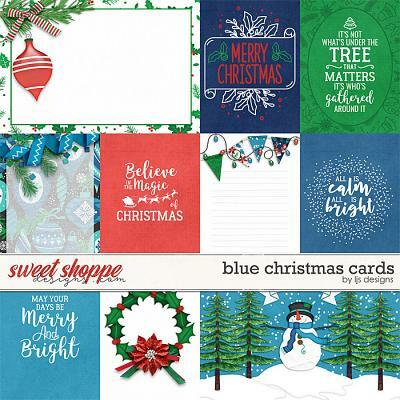 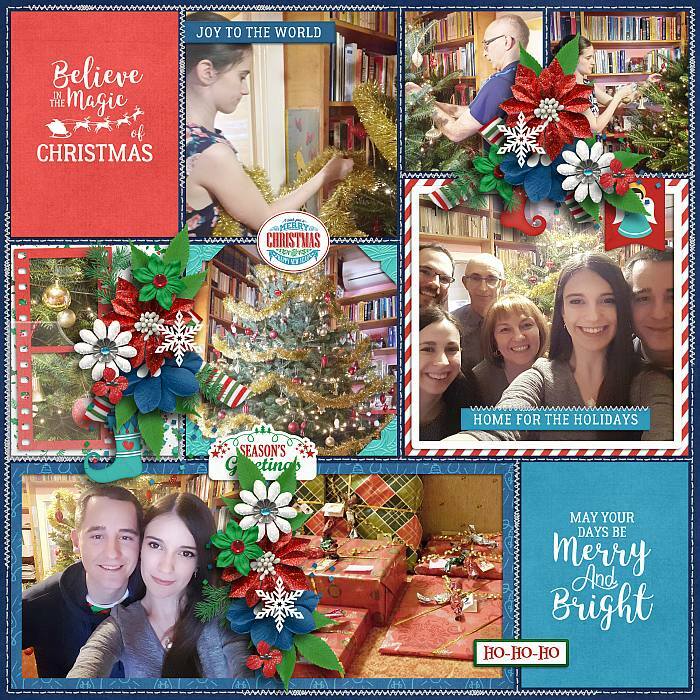 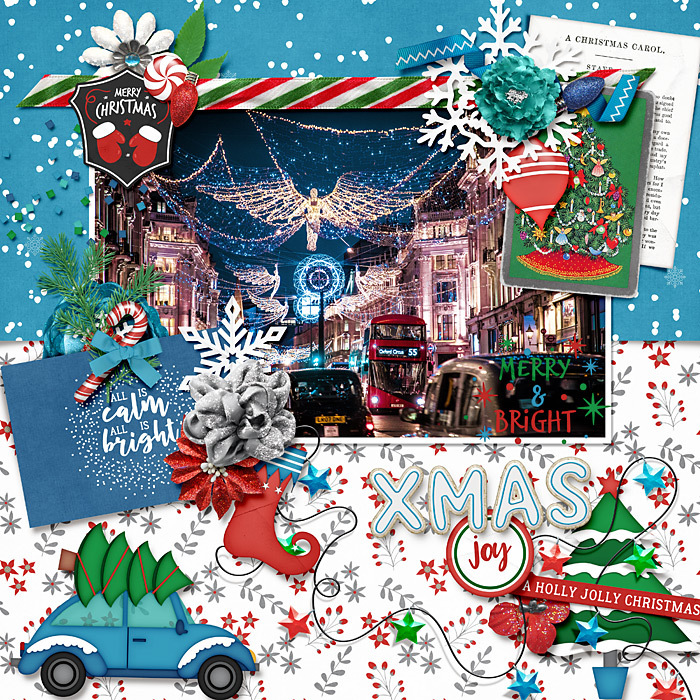 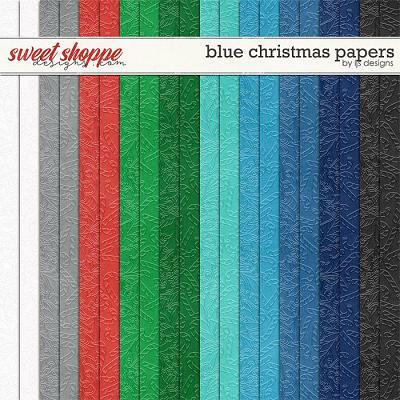 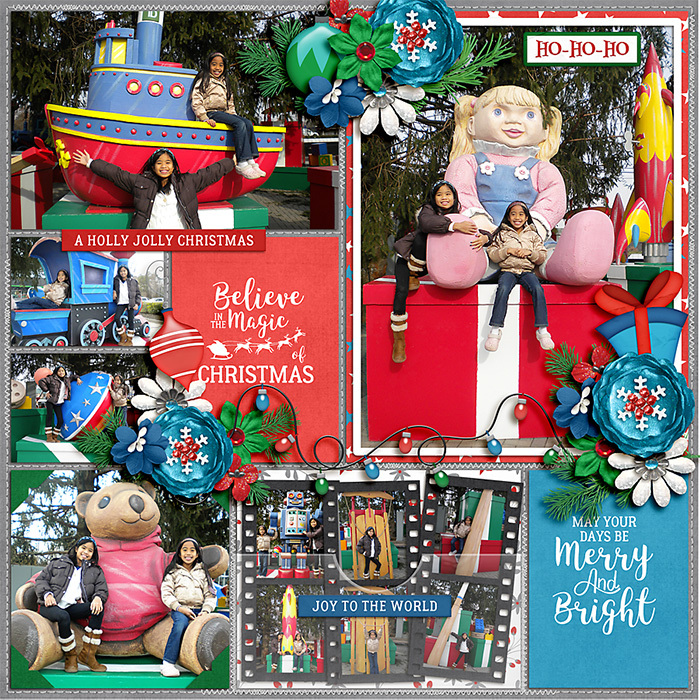 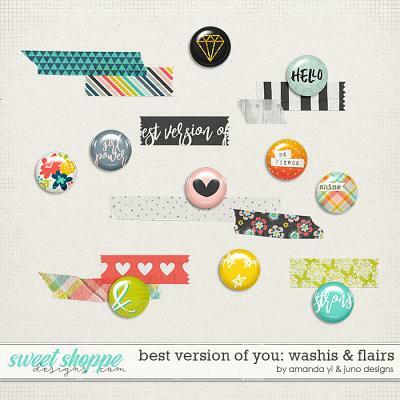 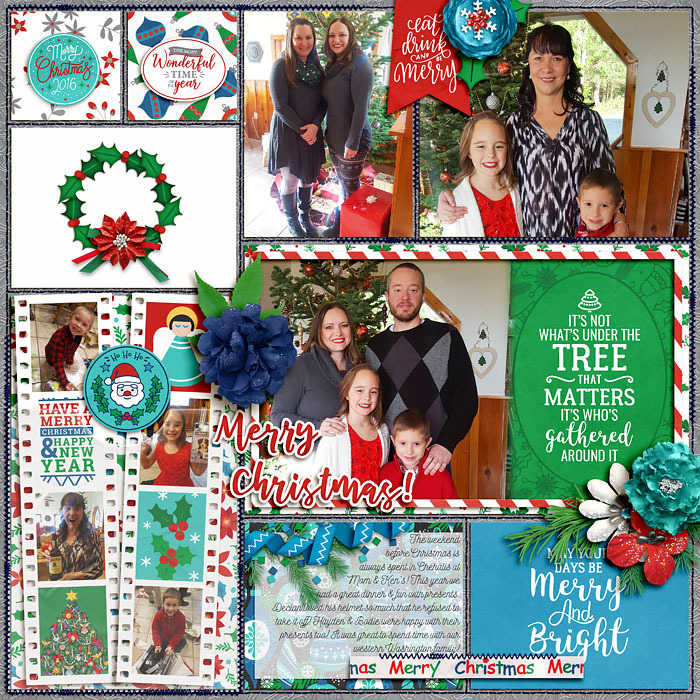 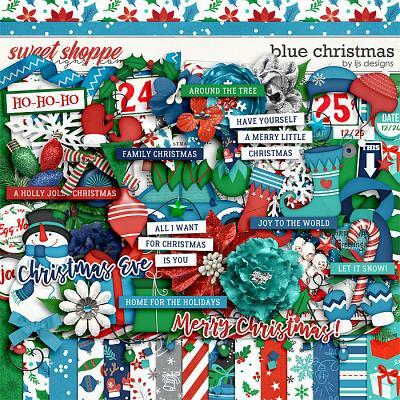 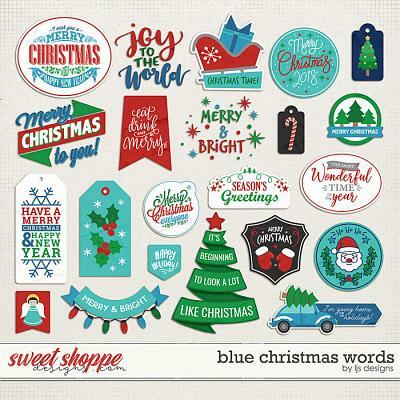 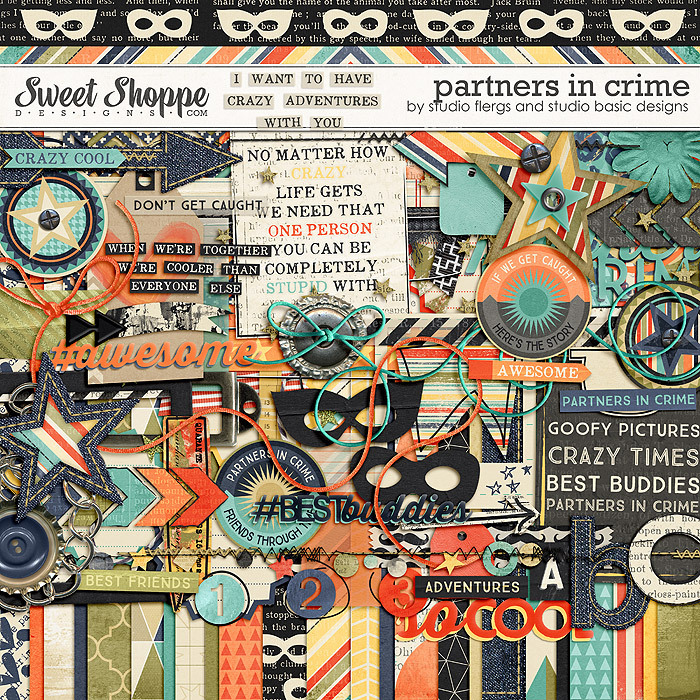 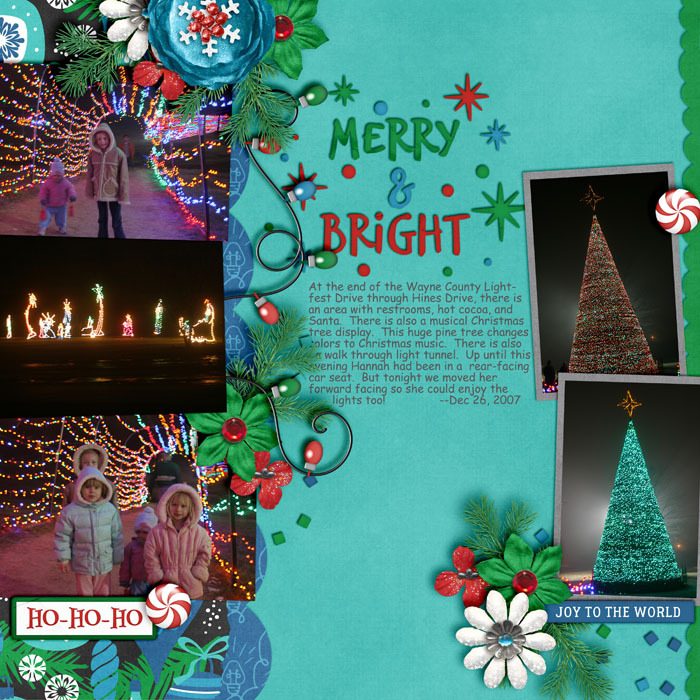 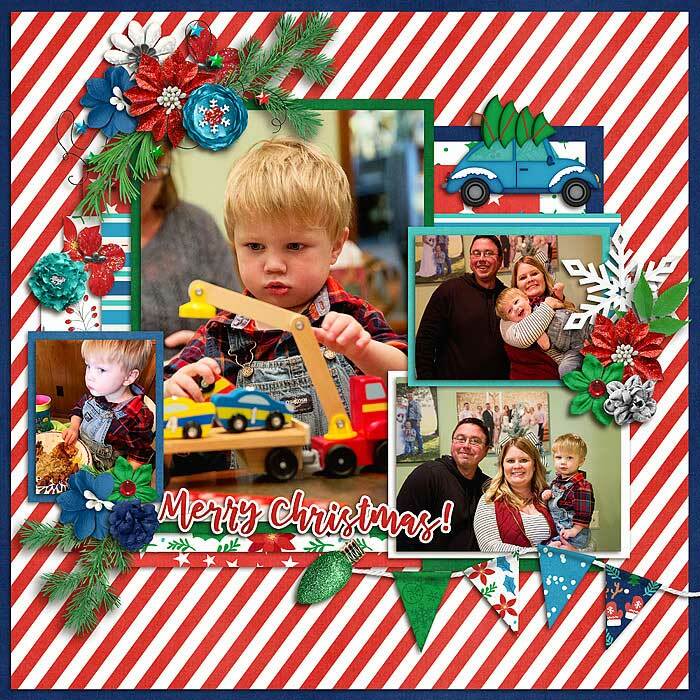 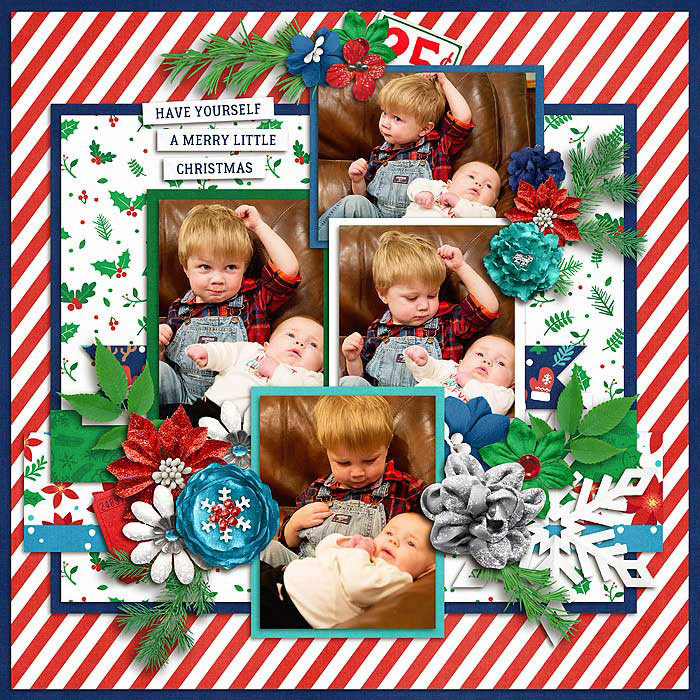 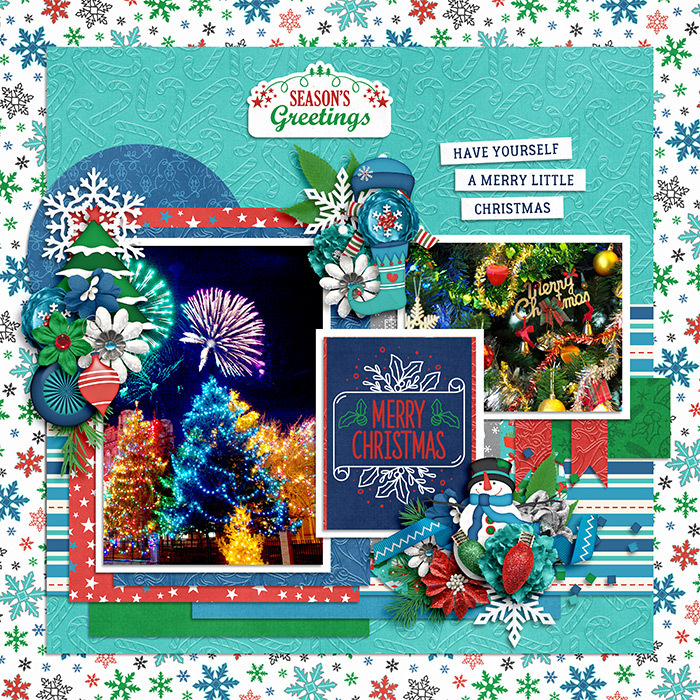 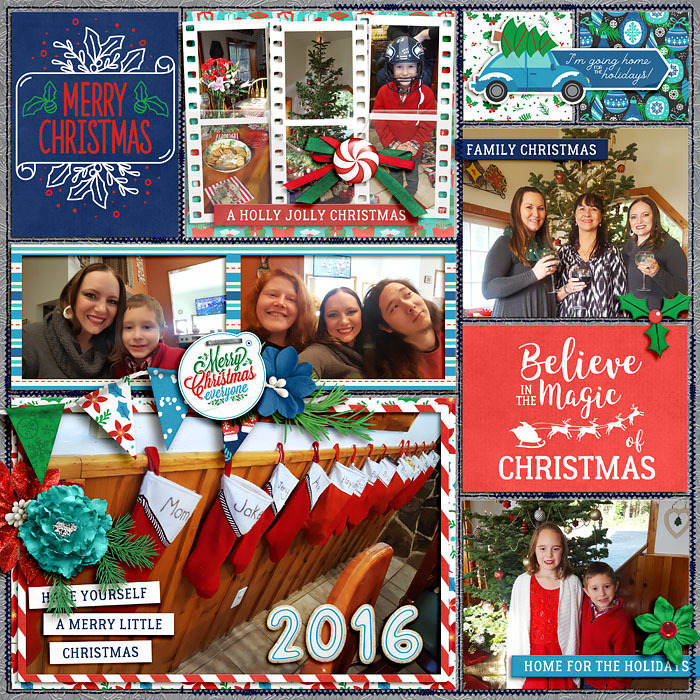 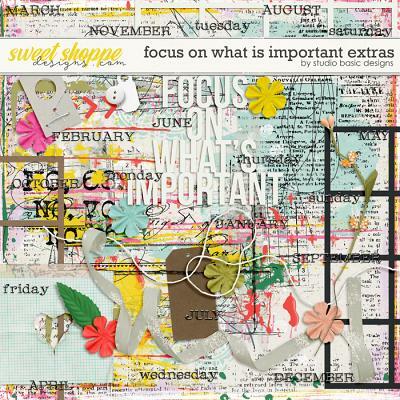 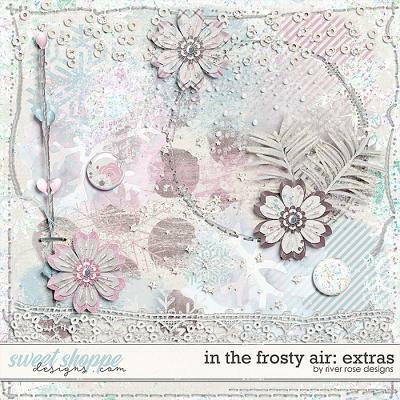 A digital scrapbooking collection by LJS Designs, Blue Christmas is a classic Christmas bundle in a not so traditional color pallet. 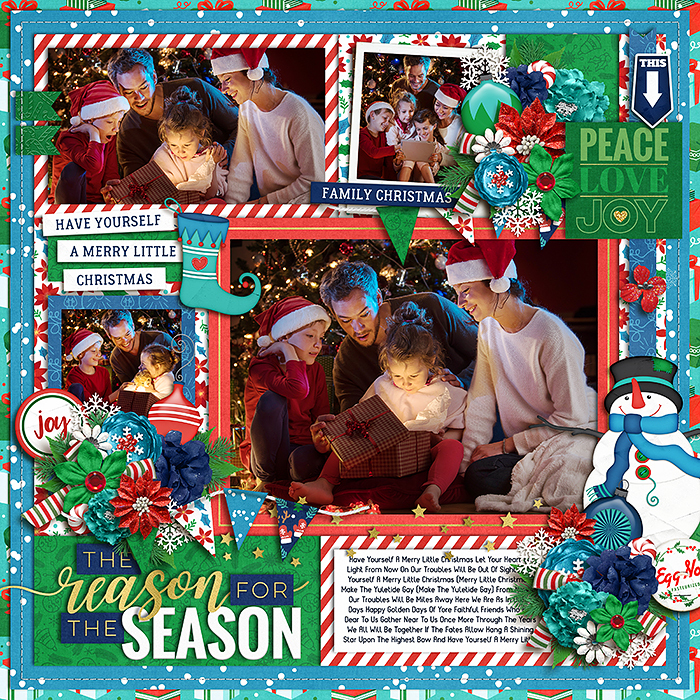 The traditional patterns and elements in this Christmas bundle will still keep your holiday pages merry and bright, while the abundance of blues will give them a fresh new feel for the season. 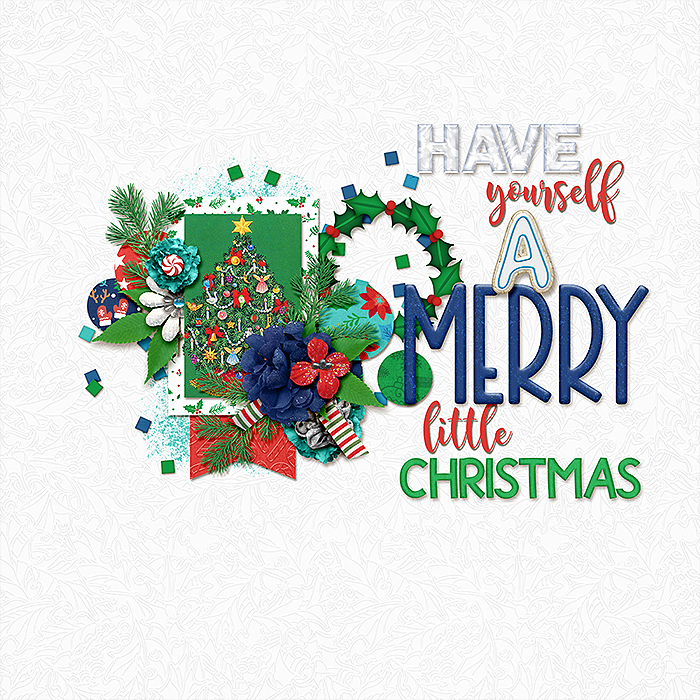 75 elements: banner, 3 bows, candy, candy cane, car, 4 ephemera, 9 flowers, 3 frames, 3 presents, 2 hats, 2 holly, 6 labels, leaves, 3 christmas lights, 2 strings of lights, 3 ornaments, 2 pine boughs, 3 ribbons, scarf, scatter, 2 snowflakes, snowman, 2 stockings, 2 tress, 2 word art, wreath and 6 word strips.